Over 1/4 mile of challenging hills and curves to challenge your skills. Pit yourself against friends and family. 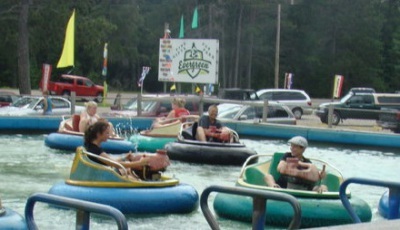 Single and double-seated carts available. No charge for passengers! Minimum height for drivers is 58" tall. Long hair and loose clothing must be restrained. 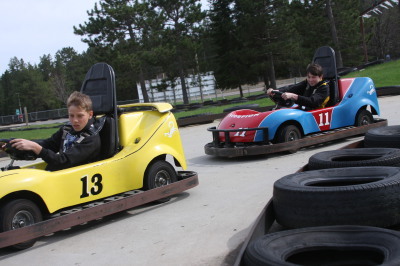 Go Carts for new drivers. 2 tickets or wristband. Minimum height 50" tall. Do battle on the "high seas." 2 tickets or wristband. Must be accompanied by adult if under 44" tall. Maximum weight 225 lbs. be open for Memorial Week-End. 18 Holes of challenging mini golf. 2 Tickets or wristband. No age or size limit! No charge for use of plastic putter for small children! 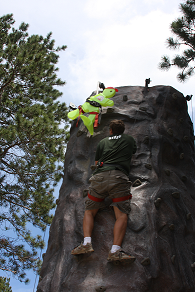 25' climbing wall tests the skills from rookie to expert. and must be at least 35 lbs. 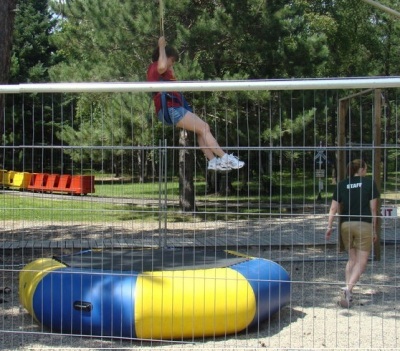 Two 25' flex poles help you do flips and somersaults. 2 tickets or wristband. Must fit securely in youth or adult harness. 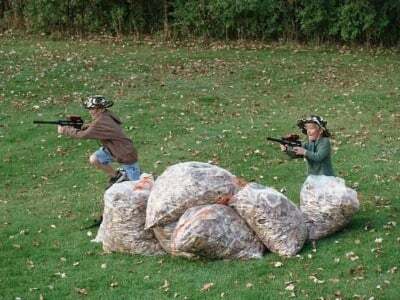 Battle for dominance in our outdoor paintball simulation without the pain or mess. 2 Tickets for 5 Minute Game, NOW included in wrist bands! Must be 5 years or older. Available for reservation for large groups or come to your event in the off-season. Call for details. 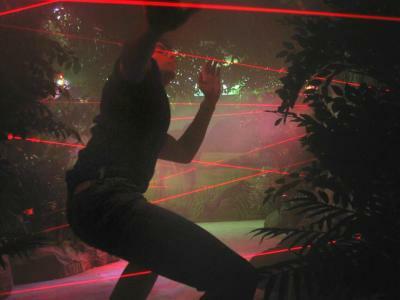 Avoid the laser beams or you will set off the security alarms! Compare your score to your friends to see who is the sneakiest! 1 ticket or wristband. No age or size limit! 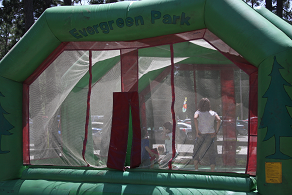 Giant Bounce Pillow for the little ones. Small electric cars for the little kids driven on a desiganated track. 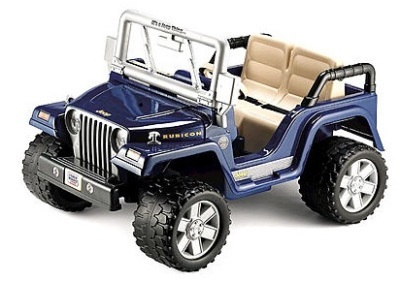 Children must be able to control the car, or have an adult guide them. 1 ticket or wristband. One child per car only. Must be under 48" tall. 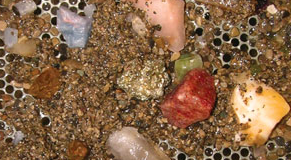 Pan for gemstones and other awesome finds! Keep what you find! Educational & fun for the whole family! in wristbands. No age or size limit! 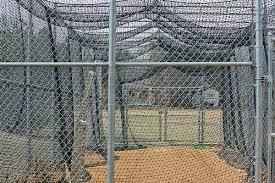 Choose from 2 slow-pitch softball cages or 1 fast-pitch baseball cage. Bats and helmets provided. Only batters allowed in the cage when machine is active. 12 balls for $1.00 or rent by the 1/2 hour or hour. Rental by teams in off hours available by appointment. Call for details. Get your opponent wet by launching water balloons at each other. 1 ticket for 12 balloons or wristband. No age or size limit.